It seems that I am always looking for pins, and they are never in the right place. Do you have the same problem? 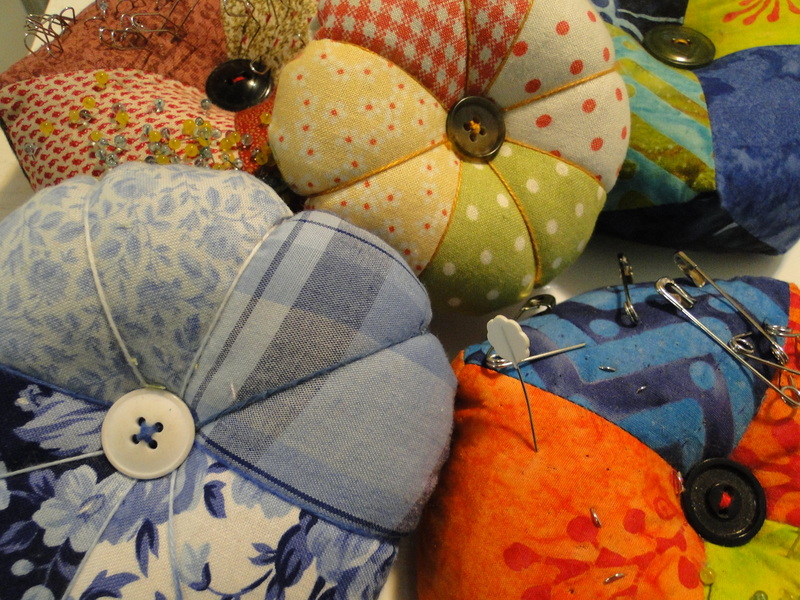 I a have a solution that works for me and it is based on the phrase “You never can have too many” – Too many pincushions that is. I have two main pincushions that I use (yes I do have more than two) but here is how I use the two main ones. I keep one near my worktable and ironing board. 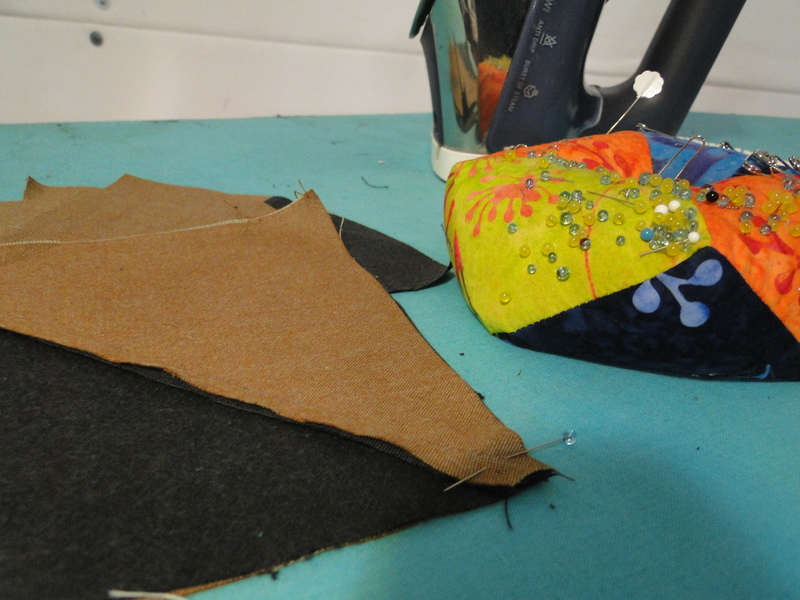 The pincushion usually lives on my worktable, but I find that I use it more on the ironing board. After I have ironed blocked that I have just sewn, I will stay there and pin the pieces that need to be sewn next. 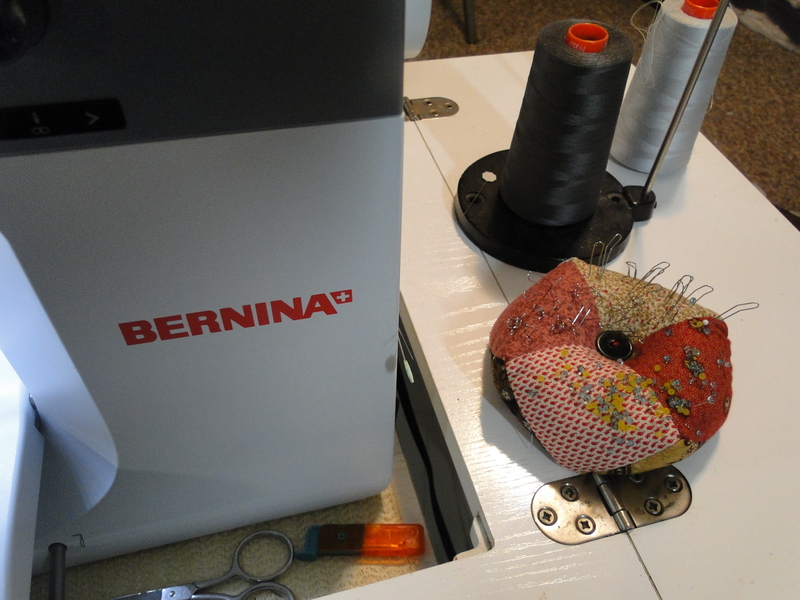 The second pincushion lives near my sewing machine. If there is room I keep it up close so that I can easily put the pin in when I remove it for the fabric before it goes under the needle. If things are a bit crowded I keep it off to the side. Here is what happens almost as by magic. As the pincushion at my worktable or ironing board gets empty, the one at my sewing machine is full. I just swap them with each other and always have pins at hand and a pincushion at hand to put them in. While not necessarily pin related – but throwing it in here. I keep a small pair of scissors and a seam ripper on the table that my machine sits on. I do have a table extension that covers the area, but I can easily reach underneath for either of these tools. They are close at hand, within easy reach, but out of the way. 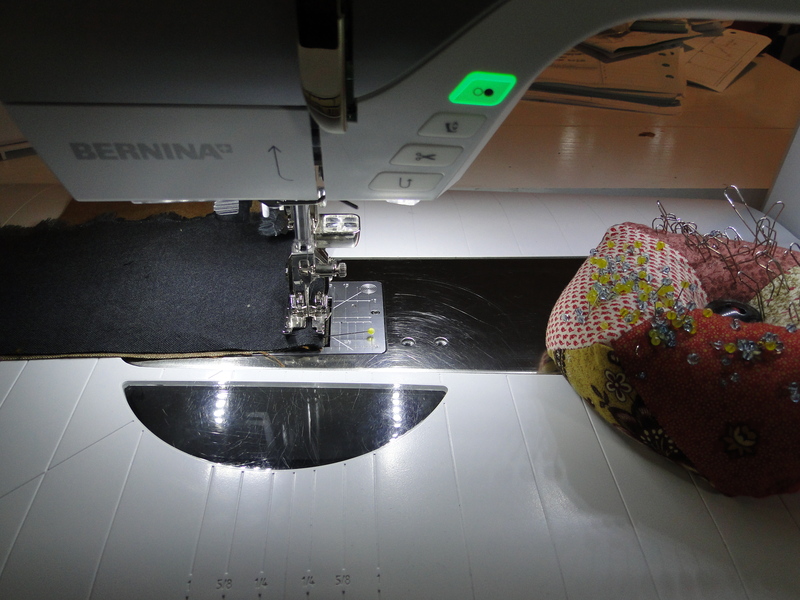 You also might notice in the picture, I use the little magnetic area on the side of my machine that is designed to hold the stylus to hold some stray pins – because no matter how hard I try to keep the pincushions where they need to be, they somehow getup and walk away and hide! Hope these tips are helpful for you. How do you keep track of and manage your pin stash? And do you have any favorite pins?